Portable rechargeable batteries are the dependable power source for many of today’s sophisticated products and mission-critical applications. Eventually, the rechargeable batteries in these products lose their charge and need to be disposed of in accordance with current federal and state regulations. The Universal Waste Rule prohibits handlers (including contractors) from disposing Ni-Cd and lead batteries and requires that they be recycled. Call2Recycle, the most comprehensive nationwide cellphone and rechargeable battery recycling program, provides businesses with a convenient way to collect and recycle used rechargeable batteries found in products such as cordless power tools, two-way radios, cellphones, laptop computers, bar code readers, portable printers, and PDAs. Through RBRC?s recycling network, reusable metals from Nickel-Cadmium (Ni-Cd), Lithium Ion (Li-ion), Nickel Metal Hydride (Ni-MH) and Small Sealed Lead (Pb) batteries are recovered and recycled to make new products such as new batteries and stainless steel. Any cellphone is accepted for recycling, regardless of the size, make, and model, digital or analog, with or without the battery or charger. Cell phones are recycled or refurbished and resold when possible, with a portion of the proceeds benefiting national charities such as the Boys & Girls Clubs of America. ?RBRC has the largest network of drop-off locations in the U.S. and our mission is to expand this network to all businesses that want to implement a free and easy rechargeable battery and cellphone recycling program into their workplace,” said Ralph Millard, Executive Vice President, RBRC. “Call2Recycle offers businesses a unique opportunity to help preserve the environment, project a proactive image and to stay compliant with state and federal regulations.? Project a green image – Joining the Call2Recycle program demonstrates the business?s commitment to preserving the environment. Conserve natural resources – Primary components of rechargeable batteries can be reclaimed to make new products. Cell phones are refurbished and resold when possible. Portions of the proceeds received from resale will benefit select charities. Businesses interested in enrolling in the Call2Recyle program can visit www.call2recycle.org or call toll free 877-723-1297 to find out more about the program. Once registered, participants will receive a free shipment of collection boxes that includes pre-paid shipment, pre-addressed shipping labels, safety instructions and plastic bags for each used rechargeable battery and cellphone. 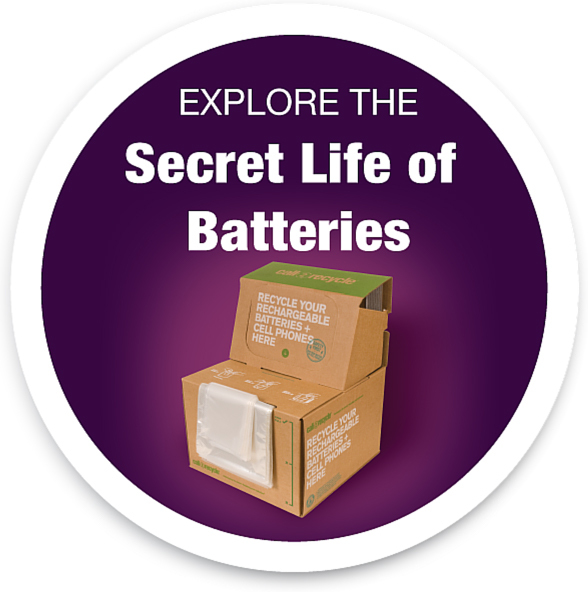 Since 1994, RBRC has collected over 26 million pounds of rechargeable batteries. Consumers can find the nearest participating drop-off location by going online at www.call2recycle.org or www.rbrc.org or calling 1-877-2-RECYCLE or 1-800-8-BATTERY.